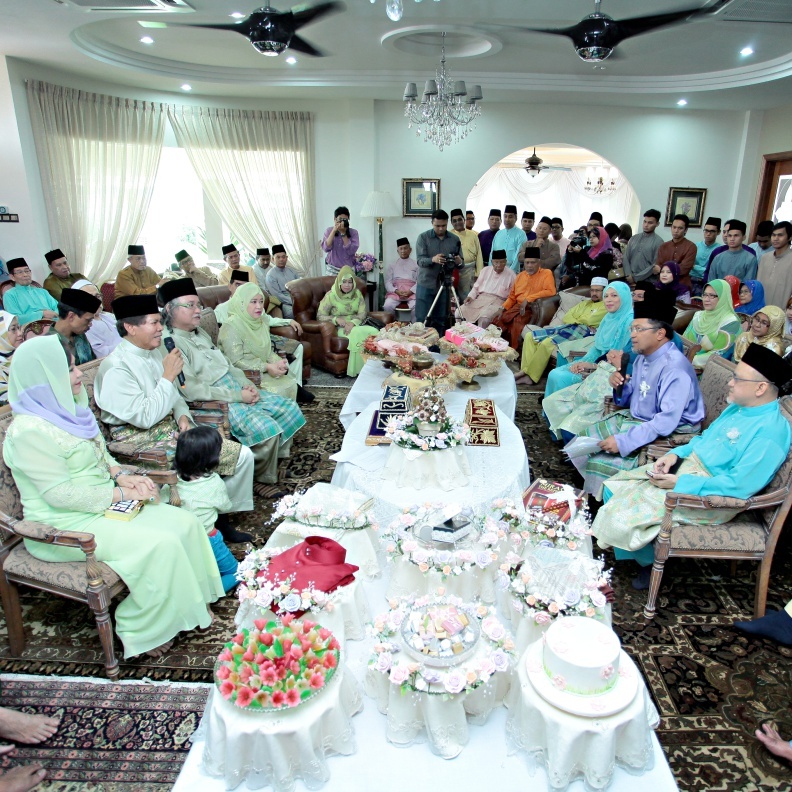 Before #syadhilwedding Part II : The Engagement of Raja Nadhil Aqran & Syahira Zakaria. Everything before marriage life is so blur to me now. It hasn't even been a year and I have already forgotten so much about the engagement. What I do remember is that I had Australs (Australasian Inter-varsity Debating Championship) and SIDEO (Sri Iskandar Debate Open) a few weeks before the event. Now that I think about it, I'm lucky that everything went smoothly considering my absence from home. You see, we never hired a wedding planner for anything. My mum and I planned everything ourselves. But how do you plan an event without being there? It's a wonder, isn't it? The morning of the engagement, I woke up at 6AM and just ran around the house like a mad person looking for my dress and veil and pins and perfume and...just everything! I knew where they were but I just had to check. And re-check. Just to be sure. Then, after a shower, I washed my face and put on different products and masks. Whitening, moisturising, hiding the eye bags! All those things. I was trying to cover my burnt skin from the Yayasan Sime Darby-1MDB Internship boot camp. Boot camp before my engagement? Yup. It was compulsory. So, at 8AM, my MUA came and I got ready. TA-DA! My dress is made by my personal tailor in Ipoh, Monday Fashion. The beads, however, are by Auntie Letty (Datin Ainul Ismail). She's our personal Rizalman. Actually, the design I wanted is something like what my sister wore to my reception but there wasn't enough time. My dress was ready the day before the event! As for accessories, I wore a diamond bracelet and a gold heart locket. The late Datin Rokiah lent me the necklace as one of her many contributions to both my engagement and wedding. She will always be in my prayers and memories. It's been a few weeks since she passed. I was able to visit her when she was in a coma a few days before. I hope that all my readers could sedekah Al-Fatihah to her. The decoration was white & pink while my family wore blue. Why blue? Because it stands out. Over the next few events, you will begin to realise that the colours we chose had a purpose. There are basically two purposes, which are either to pop out or to blend in. After the event, we heard a lot of people saying that the pelamin was too simple. That was actually the point. We didn't really plan to have a pelamin anyway. But after many thoughts, we decided we needed one for numerous reasons. At first, the planners sent these really shocking pink flowers so we sent them back. There were more deco and flowers actually. But we removed them because we felt that the colours were too bright. By the way, this is the dining room. The living room? It became a hall. 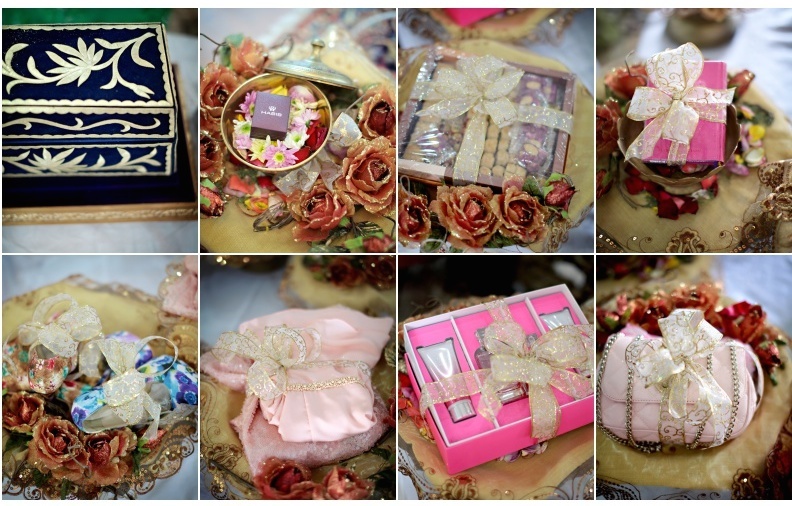 Here's the hantaran photos. It's not hard to guess which side they are from. Mine is done by Auntie Zura, a very skilled artist. Her past works include 10 years with Kraftangan, the hantaran of the Prime Minister's daughter's engagement and Siti Nurhaliza's wedding. My dulang girls in purple except my sister. I wasn't there for the whole exchange of pantun and discussion. I was supposed to be hidden. I admit, I tried to sneak a look at what was happening but everyone blocked my view. There was just so many people! So these photos and the video are something new to me too as I remember the day as something so different from what is shown through the eyes of everyone else. There are so many things more that I can write about, but I end this post with the most important part: The photos & video. Credits are at the end, okay? Upacara Suap Gula (Sugar Feeding) is a Perak adat. My mother said that it's to sweeten our tongue (biar manis mulut) because I have such a poisonous one. There were actually 7 types of dessert. And I only got to taste 2. We also had door gifts. Made by myself. With the help of family & friends, of course! I hope I have it all covered. Hungry for more? 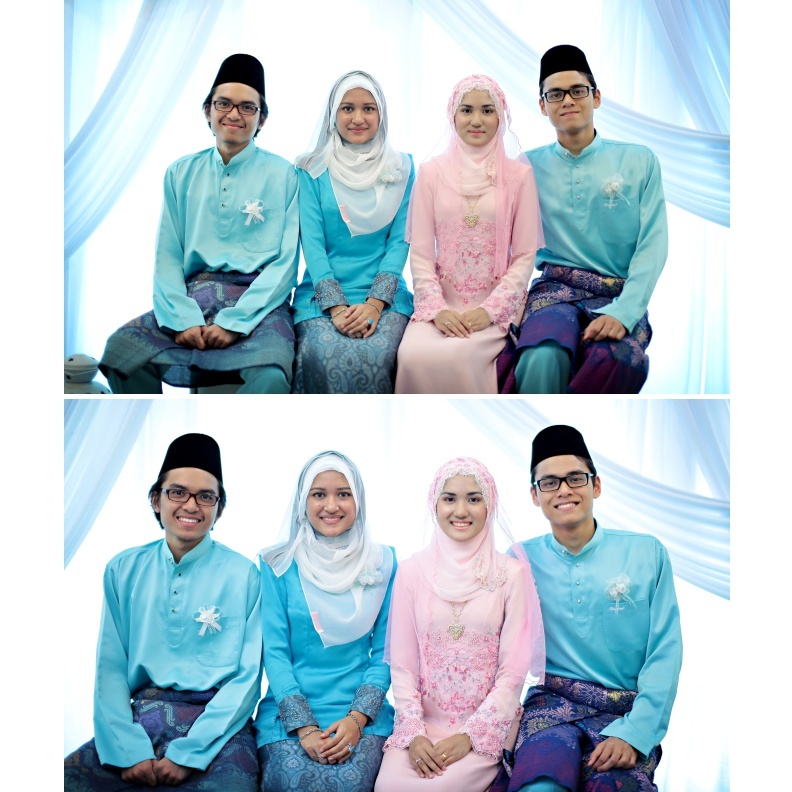 Head over to my SIL's (rnadiasabrina) blog post titled 'The Engagement of My Brother Nadhil & Syahira 1 : The Video + Pictures'. You'll also learn a fun fact or two! House of Shakilla is an online multi brand fashion store for both Malaysia & Indonesia, soon to launch their own physical boutique in Malaysia. 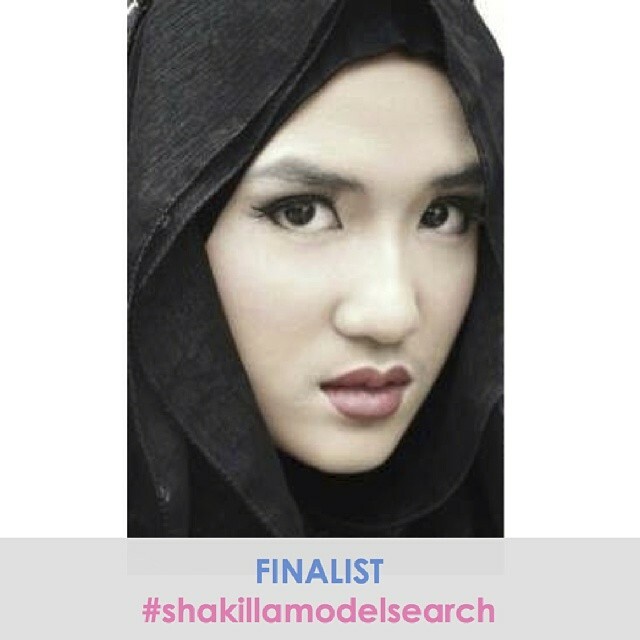 They are conducting a Model Search, and praise the Almighty, I made it to the Top 5 Finalists! I'm super excited and nervous at the same time! If you have both social media I would very much appreciate it if you would take a few seconds of your time to vote for me on both Instagram and Facebook. Gah! I'm so nervous and excited at the same time! Thank you for your votes and for helping me make my dream come true! Black is the go to colour. It can be worn anywhere & anytime. But black and gold? That's classy! I promised that I would share this look (the one I wore to Avon's Beauty Day Out) because I really want to tell you guys about the dress. It's a Zipper Dress. So the dress is super versatile! You can unzip the zips at the front that's running down the dress, as well as the zips at the collar bone. How? I'll show you in another post, OK? This time, I wore it as it is. I was doing my usual online window shopping routine when I stumbled across Sea-Citizen.com . It's a Runway Inspired online shop. The designs come from London, improvised from the runway, but the clothes are made in South East Asia. And guess where Malaysia is? It's in South East Asia. Another fun fact: The zips are actually made in Malaysia! By YKK (Malaysia) Sdn Bhd. YKK is this huge fastening products manufacturer that supplies all over the world. Some of the companies that use their zippers include Coach (as in the handbag), Gucci and Louis Vuitton as well, at one point or the other. When I got this dress, I was like, Louis Vuitton handbags use the same zip as my dress! Too excited? But seriously, any fashion lover would know that an LV is just so expensive that having something that is even associated with it would excite just about anyone. This also shows that the quality of my dress is the same as an LV handbag. But much cheaper! Any guesses how much my amazing dress costs? It's RM149.90. Avon's Naturals Collection include the daily bath products. The ANEW White Range Facial Care Products. Avon Malaysia, a leading cosmetic company, had invited me for a fun Beauty Day Out with bloggers. 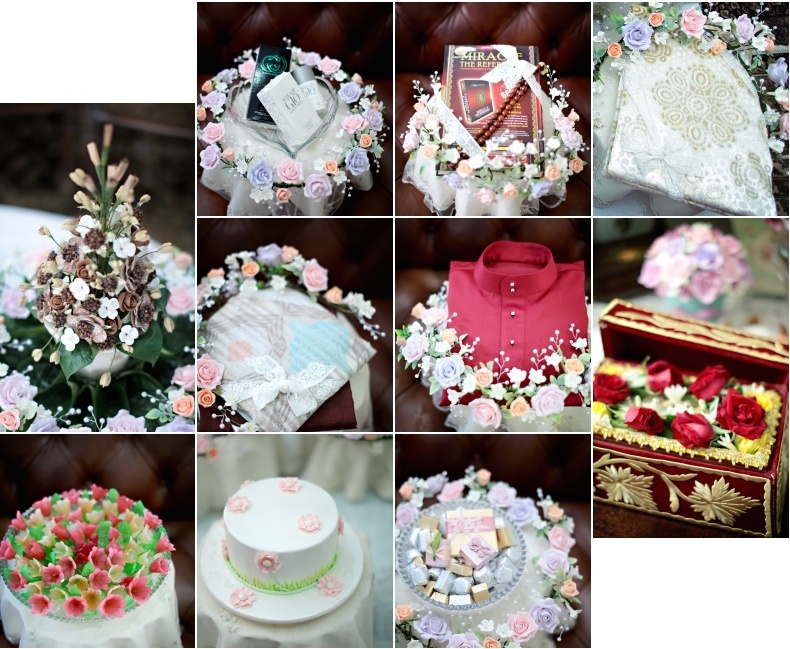 The event was a small exclusive event held at Royale Chulan Damansara. It was a rainy Saturday morning and I was actually too lazy to move but the event sound so exciting that I just had to go! Plus, I already said I was coming and I was bringing a friend as well! We were seated in a U position, so we have a clear view of the tutorials. There were 2 sessions: Facial Care with Avon's ANEW White Range and Make-Up Tutorial with Avon's Over Nature Make-Up Collection. We received some of these as door gifts. I'll be honest here. I don't really take care of my skin. Before the whole #syadhilwedding , I really took care of my skin but now, it's either I'm too lazy, I don't have the time or I tell myself, "I'm 20 anyway." But going to the Beauty Day Out definitely taught me a thing or two. I always started from the top of my head and work down to my neck. However, it should be the opposite. I also learnt an easier way to wipe off my make-up. It really works easy and fast. So I'm not so lazy to wipe off my make-up before I go to sleep now. And that fresh feeling after doing the whole face care routine? AH-MA-ZING! Ever since then, I started to make it my daily routine again. Yay! Achievement! 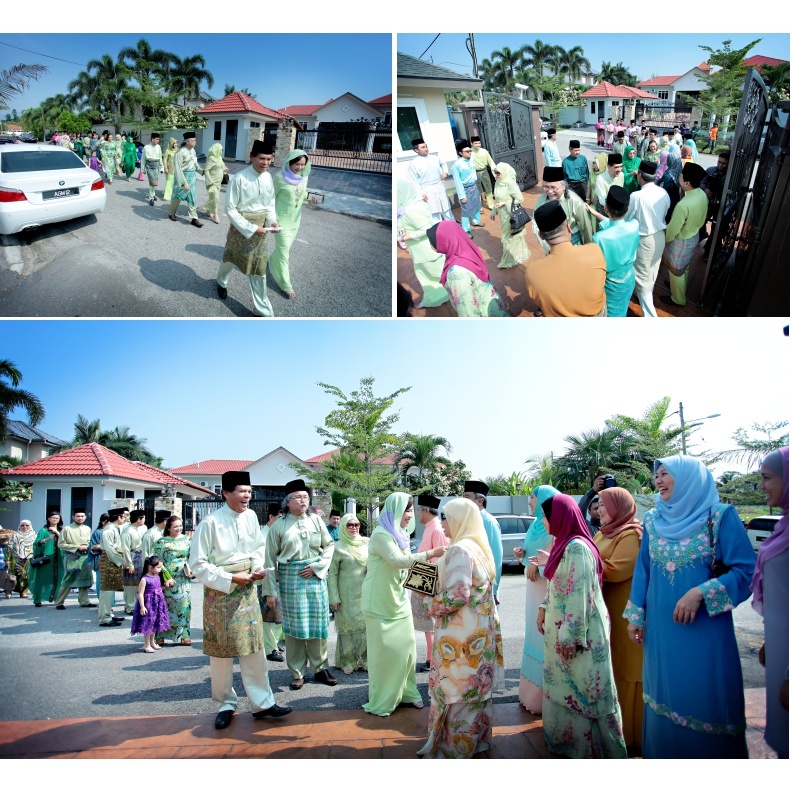 Unfortunately, I can't share some of the photos here as our aurah was exposed a little. But I'll share the photos from the next session, OK? Then came the second session: A Make-Up Tutorial with Najeeb Azami, Malaysia's Celebirty Make-Up Artist. I tell you, his make up is flawless. He was one of the MUAs I considered for my wedding. Unfortunately, I chose another MUA. Who did I choose and why? Find out soon! We received some of these as well! Both palettes are designed for different occasions. One is for day and the other is for night. I was so excited because Najeeb taught us how to do our day & night make-up with just these two palettes! And now I have them, I can do it all the time! Although, actually, I wear they day make up at night too. I feel comfortable that way. Same look all day everyday. I'll share with you one tip I learnt from Najeeb. There is no need for eyeliner. (Thank God, because those things are killer to remove) But mascara is a MUST. You can start taking out your eyeliners from the handbag and put in your mascara instead, ladies. "Mascara is a MUST!" says Najeeb. It was a morning of fun and learning. We, women, must know how to groom ourselves and keep ourselves clean and beautiful. Learning it from experts is the best way as they have vast knowledge and experience that they are willing to share with us. 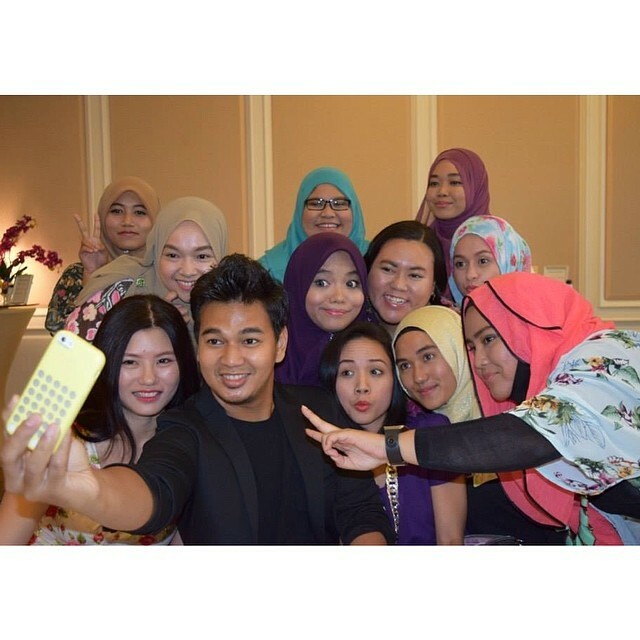 Special thanks to Avon Malaysia for inviting me. I hope Avon will have more events like this in the future. Blue & Pink Birthday Princess. Playing it safe: Pink Pelekat.